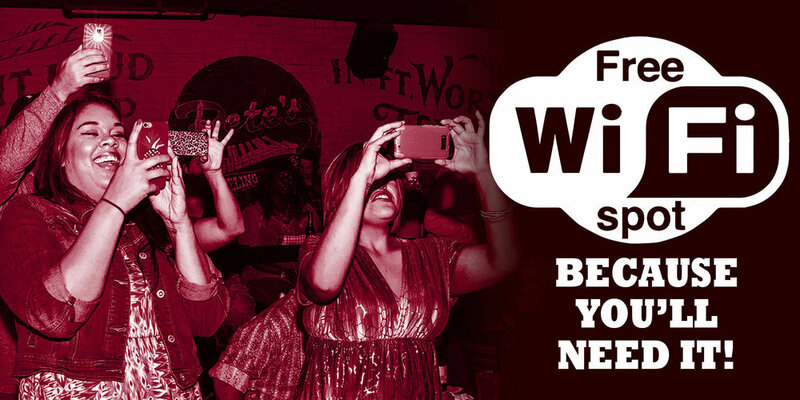 Let’s take a look at the “UPshow Effect” at Pete’s Dueling Piano Bar Austin- highlighting customer posts that aren’t just pictures but invaluable customer promotions. The digital style influencer lives an everyday normal life doing everyday normal things, like attending bachelorette parties! While busily living that normal life, her 16.3K followers are watching, gaining insight and inspiration for what they will wear, where they will go and which businesses to mention on social media. Seeing @wearandwhenblog’s Loren at Pete’s Dueling Piano Bar in Austin affirms to her followers that the business is trendy. Everybody may know your name at Cheers, but with UPshow we consider you a VIP. These regular customers pop up on the UPshow screen multiple times within the night and even multiple nights a week! While the VIP is showing all their followers how devoted they are to the venue, the venue is in return gaining extensive social media content. Robyn posted on the UPshow screen several times during the night she spent at Pete’s Dueling Piano Bar. Each post affirmed how engaged and entertained the screen allows the audience to be at Pete’s. With so many choices in just one city, imagine the opportunities that are available to the wandering worldly traveller. The fact that this solo travel Instagrammer chose Pete’s Dueling Piano Bar in Austin as her next adventure allows the business to reach the destination seekers audience online. By posting to UPshow and all her social following @wandercathenna is confirming to her audience that Pete’s is worth it to make a stop at if you’re in Austin. It also doesn’t hurt that she’s displaying one of the business’s signature drinks in the shot! Pete’s Dueling Piano Bar in Austin utilizes UPshow’s digital signage aspect, Spotlights, to provide useful in-venue information (who doesn’t fall in love with a place offering free wifi?! ), showcase popular menu items and continue the brand experience with out of venue offers.